But mostly, this is quite boring to the average SWTOR fan. We make bets about early game access. We try to avoid talk about the dramacast. We debate movie-watching commitments. FACT OR FICTION: Can you pick out the confirmed fact from the tall tales? This week’s challenge concerns cover, guild pre-launch, the pre-order offer code. 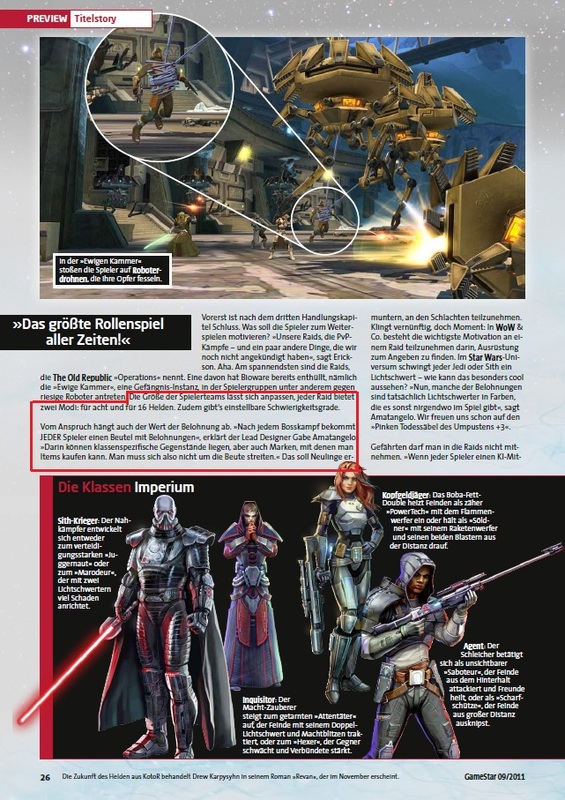 Cebo, from the official SWTOR Forums, came across a German game magazine article that outlines more information regarding endgame raids and loot system. From the thread, above, you can read how there are two raid team sizes 8 and 16 and a loot system that might just cure the dreaded fighting over loot. The loot system is a sort of loot bag in which every time a boss is killed the team members get a loot bag. These bags will contain random items, credits etc. There seems to be also the standard boss drops so there will still be the “roll” for some items, but this system sounds like a way to give everyone a better reward in endgame! 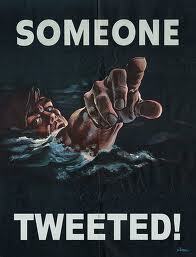 Only now if we can get it in plain English maybe……Any dev for a comment? More HoloNet Links after the jump. Brandon and Kim from Old Republic Dads join Carla and Kathy to discuss the Comic Con reveals. Surprise pre-order announcement sends SWTOR community into a frenzy and it isn’t all good. FACT OR FICTION: Can you pick out the confirmed fact from the tall tales? This week’s challenge concerns the legacy system, the collector’s edition, and the planet Ilum. Did the Bioware “train” show up at Comic-Con? Star Wars: The Old Republic Collector’s Edition, what will come with it? How much will it cost? Will they have a digital edition? How much game time will be included? I asked those questions four hours earlier when I started writing this article, but had them answered around 3:23 am EST. The Old Republic “train” was an earlier morning express and delivered this gamer happiness! Bioware is offering a limited number of three versions in which can be pre-ordered online.